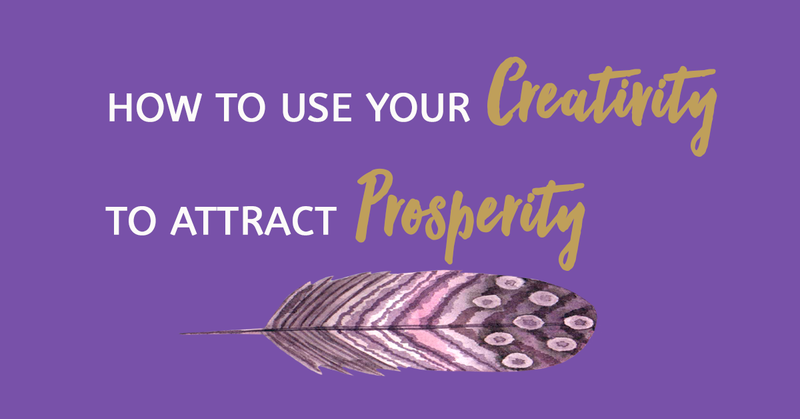 Today, I’ll be talking about how you can use your creativity to attract prosperity. Having the right prosperity mindset is something that most of us have a tough time understanding and achieving. The mindset contributes to 80% of our success, meaning that if we have the wrong prosperity mindset, it doesn’t matter how hard we work, we will still find it difficult to achieve our goals and desires for prosperity. Now prosperity, doesn’t necessarily mean that this is all about money. Prosperity to you could be about having a loving a family. Or, to travel the world and experience new cultures. Either way, I want to share with you my learnings and successes around prosperity consciousness, so that you can take this journey with me too and learn a little along the way. So today, on the Wild Woman Run Free podcast, I’ll cover the Creative Law of Prosperity. This is all about using your creativity to clear out negativity and blocks to prosperity. These techniques that I’m teaching you is from a book called The Dynamic Laws of Prosperity by Catherine Ponder. If you’re an avid reader, you can buy it on Amazon or on Book Depository. It covers all the laws of prosperity and it’s the book that I’ve been researching for some time now. I particular like this Law, because I’ve used this myself and have had massive success from some of these techniques. In the past few years, it’s helped attract my perfect apartment, attract my ideal partner and I believe it’s also contributed to everything that I’ve attracted in my life. Listen in to the Wild Woman Run Free Podcast, to learn the 6 different ways that you can use your creativity to attract prosperity and if this episode speaks to you, please feel free to share! To a life of freedom and abundance!